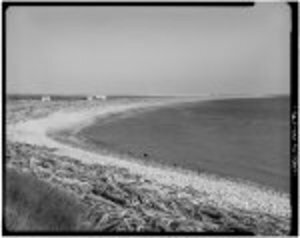 The village of Deering, located on a sandy spit on the Seward Peninsula where the Inmachuk River flows into Kotzebue Sound, 57 miles southwest of Kotzebue, was established in 1901 as a supply station for interior gold mining near the historic Malemiut Eskimo village of Inmachukmiut. 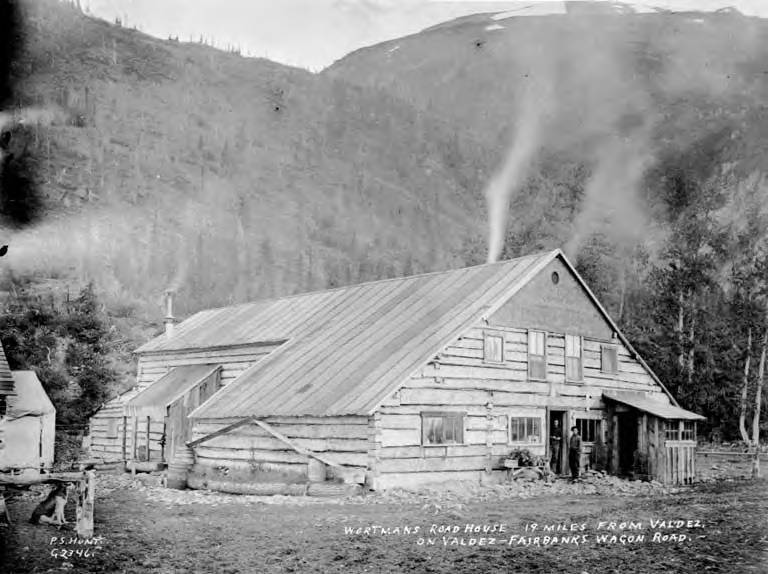 According to Donald J. Orth‘s Dictionary of Alaska Place Names, a post office was located here in 1901 and the name came from the schooner Abbie M. Deering, which was present in the area around 1900. Records kept by the U.S. Department of the Interior show the schooner did eventually make it to Alaska, and some reports say the community of Deering was settled by its crew. 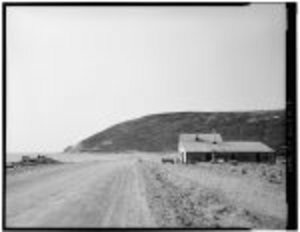 There are apparently no records of Anna Ruhl’s roadhouse at Deering, and an extensive search turned up only the photograph above. 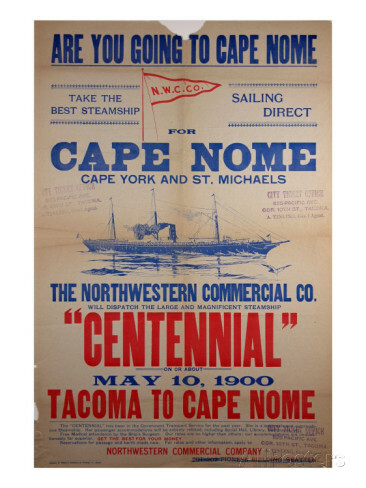 On August 26th, 1903, the town’s namesake, the Abbie M. Deering, departed Nome with a cargo of thirty tons of cigar case and mats, bound for Seattle and way ports. On September 4th, the schooner met heavy currents and an early morning fog, and drifted onto a reef on a small island on the northwest side of Akutan Pass, in the Aleutian Islands. The crew worked for thirty-eight hours trying to pull the vessel off of the reef. 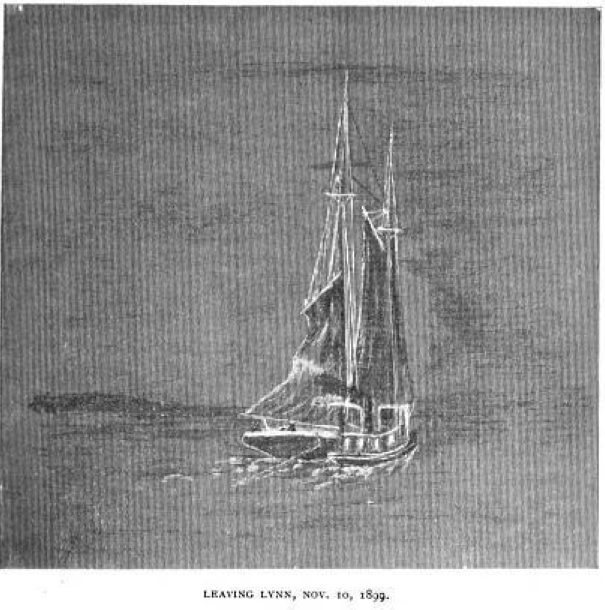 The schooner’s master assisted the crew of the U S Revenue Cutter Manning, upon their arrival, in the removal of the thirty one passengers and eight crewmen. The mate was left in charge of the wreck, and all the passengers and crew, except a few who remained in Dutch Harbor, went on to Seattle. The ship and its cargo was reported a total loss. Rudyard Kipling’s 1897 novel Captains Courageous mentions the Abbie M. Deering by name. This entry was posted in Roadhouses, Seward Peninsula and tagged Abbie M. Deering, Anna Ruhl, Captain James D. Winchester, Deering, Diver, Kotzebue, Seward Peninsula, USRC Manning on May 8, 2015 by Helen Hegener. 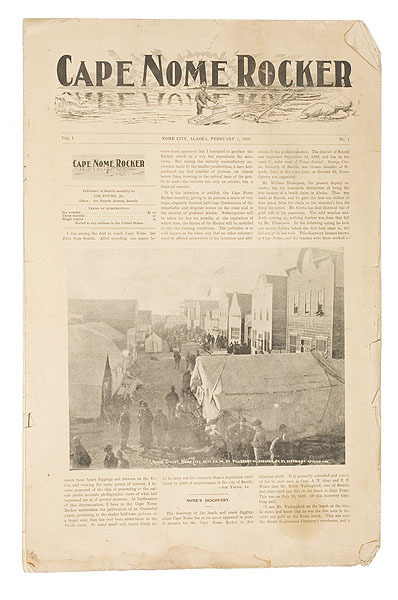 When large gold deposits were discovered in 1898 the Cape Nome Mining District was formed and the Nome Gold Rush was on. 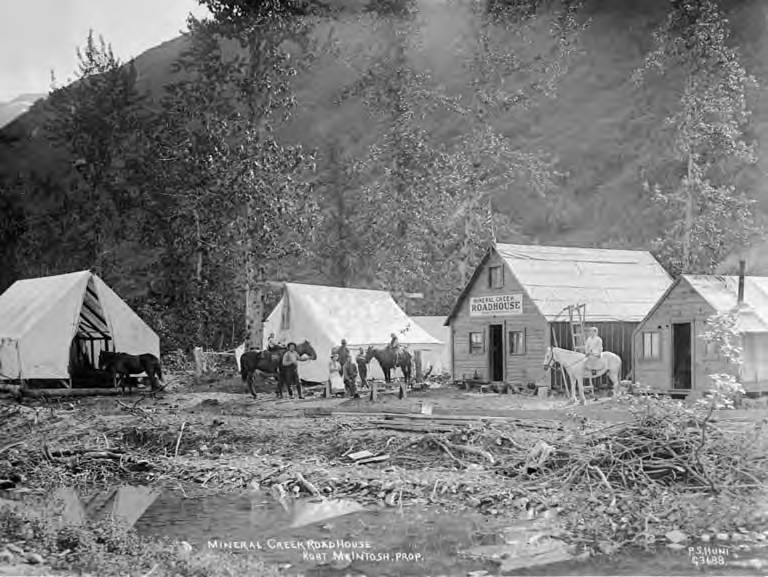 Hopeful miners flocked to the area in the spring of 1899, producing the largest gold rush in Alaska, and the third largest in North America, after the 1849 California Gold Rush and the stampede to the Klondike in 1898. 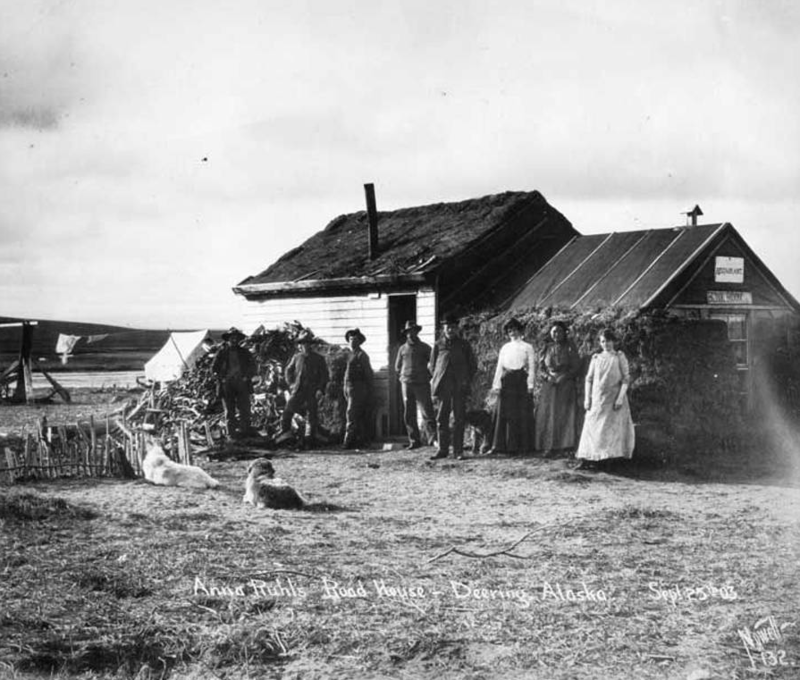 Over a million dollars in gold was taken from the beaches of Nome in 1899, and by 1900 a roadhouse had been built at Cape Nome, constructed with logs hauled by horses from the wooded Council area, some 80 miles to the east. 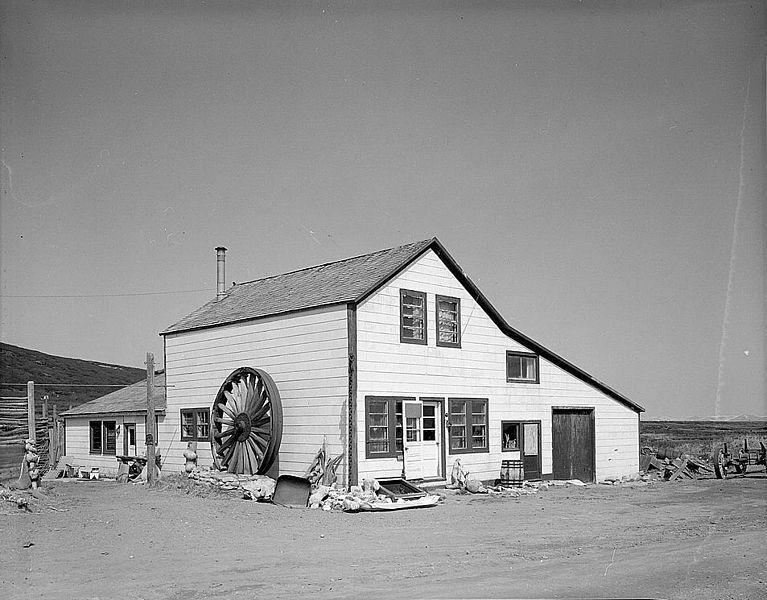 Described as “sturdy, squat and convenient,” the first roadhouse was soon added onto, enlarged and reconfigured to become a building which could only be described as incongruous, resembling a New England-style saltbox, which took its name from its resemblance to a wooden lidded box in which salt was once kept. The defining characteristics of a saltbox are two stories in front and a single story behind, resulting in a long sloping roofline. They were often created when a single-story lean-to was added to an existing building. 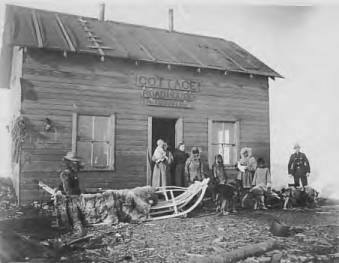 For many years the Cape Nome Roadhouse was an important stopover for travelers on the Nome-to-Fairbanks Trail and later the Iditarod Trail. 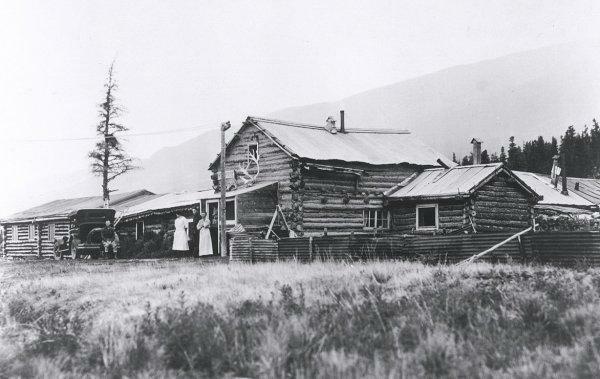 With the construction of the Nome-Council Wagon Road and the coming of commercial aviation the roadhouse was no longer in demand for meals and lodging, and by 1918 it had become an orphanage for the Nome Methodist Church. It was utilized as an FAA communications station during WWII and into the 1950’s, and at the time of the National Register of Historic Places survey it was a live-in grocery store. 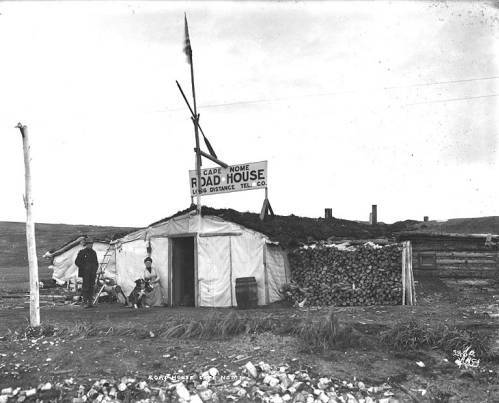 Today the Cape Nome Roadhouse is owned by the Hahn family of Nome. There are some lovely color photos, in which it is referred to as the Old Point Nome Roadhouse, at the online ship log of the sailing yacht Tyhina, including photos of the view to sea and the fireplace inside the roadhouse. In 1900 a report by a US Geological Survey party which included Alfred H. Brooks and Walter C. Mendenhall featured a large topographic map of the Seward Peninsula; shown here is the bottom half, which includes the Cape Nome region. This entry was posted in Roadhouses, Seward Peninsula and tagged Alfred H. Brooks, Cape Nome, Cape Nome Roadhouse, Gold Rush, Hahn, Iditarod Trail, Nome, Norton Sound, Salt Box, Seward Peninsula, Tyhina, Walter Mendenhall, William Wharton on April 28, 2015 by Helen Hegener.